Nearly a year and a half ago, Stephen Lanzo III, 46, of Verona, was diagnosed with mesothelioma, a deadly cancer of the lung linings, according to court papers. Now, he and his wife Kendra are plaintiffs in the first asbestos-related talcum powder trial to be heard before Judge Ana Viscomi in Middlesex County Superior Court. Opening statements in Stephen Lanzo III and Kendra Lanzo v. Cyprus Amax Minerals Co., et al., are scheduled for Monday, Jan. 22. As part of a multicounty litigation process similar to multidistrict litigation, the trial represents the first in the state involving Johnson & Johnson’s talc products, and the second talc/mesothelioma trial in which the New Brunswick-based company and its talc suppliers are named as defendants. Since his birth, Lanzo was “frequently exposed to asbestos-containing talc powder products,” marketed and sold by J&J, according to a civil action complaint. Moreover, Lanzo “continues to suffer from other various injuries and attendant complications,” continued the complaint, while imminent “exposures” to the company’s products were also blamed. Lanzo, who “last claimed asbestos exposure” around 2003, has a history of “occasionally” smoking cigars “up to approximately 2002,” according to court papers. He was diagnosed with mesothelioma in July 2016. Though Kendra Lanzo does not have cancer, as “the wife of (the) Plaintiff,” she “was wrongfully deprived of her husband’s society, services and consortium,” reads the complaint’s sixth count, citing “actions of the defendants” as cause. 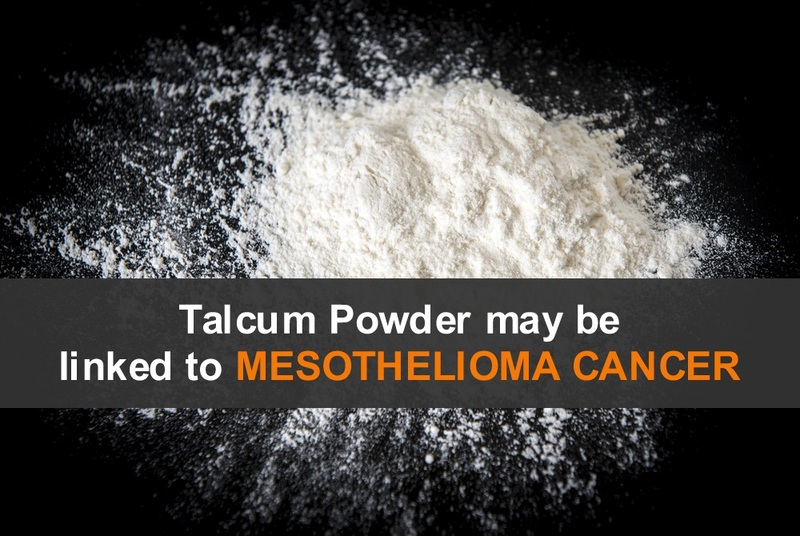 The plaintiffs “wantonly and intentionally conspired, and acted in concert, to withhold information from Stephen Lanzo, and the general public concerning the known hazards associated with the use of and exposure to talc, including asbestos-containing talc,” continued the complaint. J&J “settled a second case and faces at least several dozen more lawsuits,” continues the report, adding that, “similar lawsuits are targeting other companies, including Colgate-Palmolive,” which made Cashmere Bouquet powder. “They knew it had asbestos in it. … They were reckless with peoples’ lives,” Herford’s lawyer, Chris Panatier, reportedly told the jury. J&J’s lawyers and witnesses argued against all findings of asbestos contamination, according to the report, which cited “lab contamination and misclassification of asbestos fibers” presented by J&J’s attorneys, as blemishing the positive test results. Following its win in the Herford case, the company said Johnson’s Baby Powder has been around since 1894 and does not contain asbestos or cause mesothelioma or ovarian cancer, according to a statement. “The company’s sources for talc are routinely evaluated using a sophisticated battery of tests … to ensure compliance,” added J&J. Courtroom View Network (CVN) will webcast the entire trial. The trial is expected to run through the end of February. “(CVN) has webcast and archived almost every state court trial involving J&J’s talc products since the first trial in St. Louis, Missouri in 2016,” said David Siegel, a CVN editor. “Many attorneys and other members of the public who couldn’t otherwise watch a lengthy trial like this in person will have the option of keeping up remotely via CVN,” added Siegel.